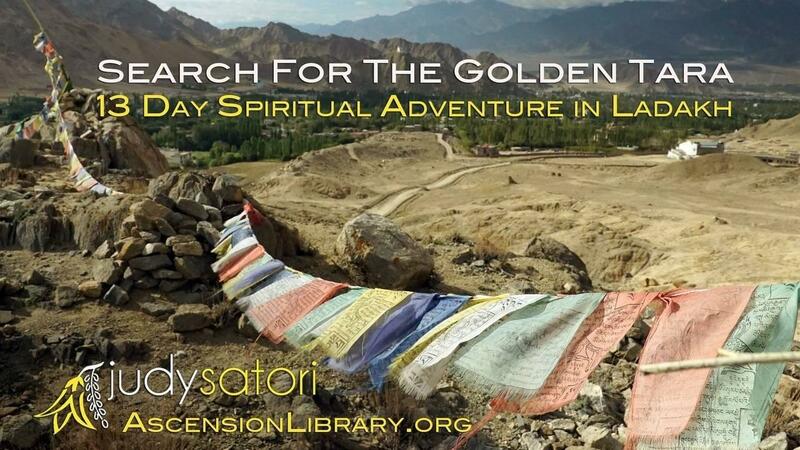 13-days of transformation with the energies from of Goddess Golden Tara recorded LIVE with Judy Satori in the Sacred Land of Ladakh, northern India. During this 13-day program of transformation, the Goddess Golden Tara will also walk alongside you to activate many positive changes and help you to access a more confident and more joyful expression of SELF. Take a giant leap in your human and spiritual evolution! Purchase and own this exciting 13 day ONLINE journey in Ladakh. Watch a daily video and listen to audio transmissions from the Goddess Golden Tara.